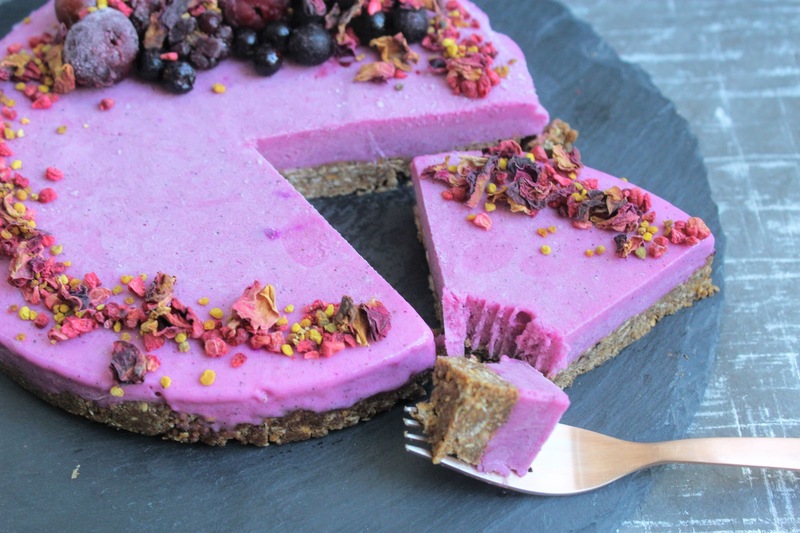 I love making raw cheesecakes: A simple base topped with frozen bananas whizzed up – then that’s the where the fun comes in when adding additional flavours, colours, toppings… This recipe is super easy and using Ryvita crackers in the base is a game changer, particularly if you want a healthier alternative to biscuits. 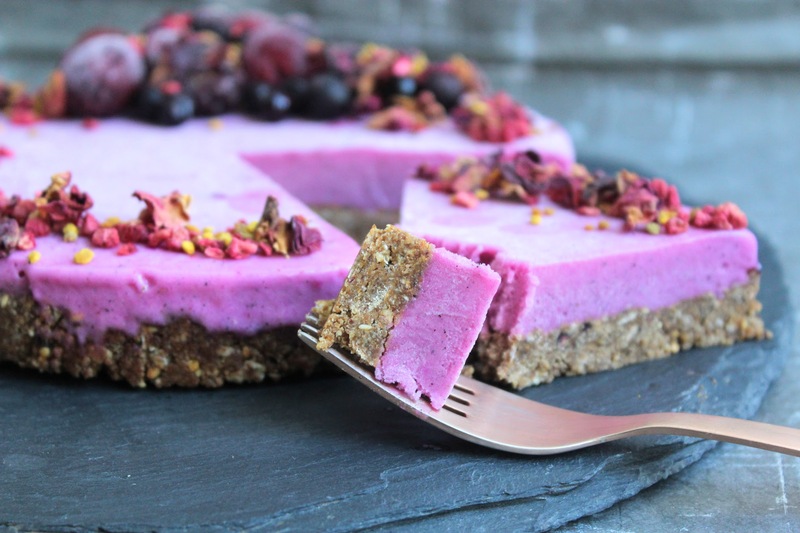 Then comes the super pink colour in the ‘cheesecake’ part thanks to the pink pitaya powder I won as part of a competition run by Hybrid Herbs – adding just the smallest amount transforms anything into a beautiful colour so what better way to use it in something like this no-bake dessert! Gently melt the nut butter, coconut oil, maple syrup and carob bar until smooth then pour into the food processor. Blend again until the mixture comes together and the Ryvita has broken down. Tip out into a 20cm loose-bottomed lined round tin and use your fingers to push it down and spread out evenly. 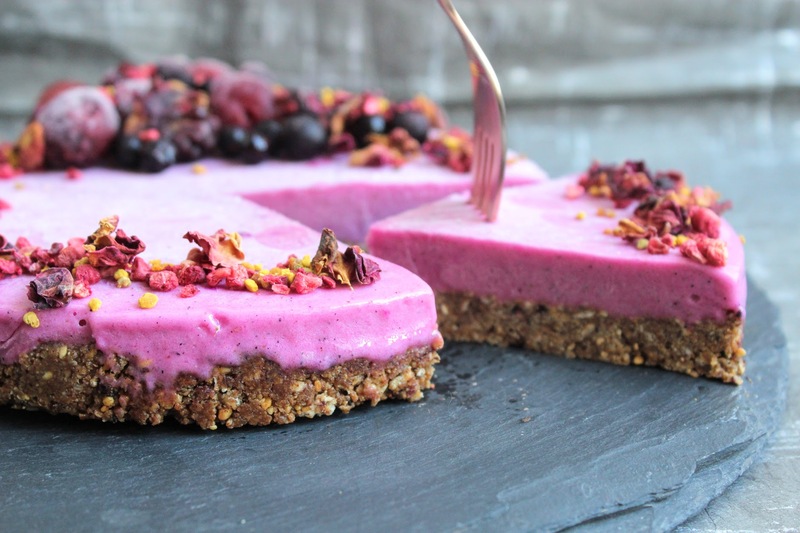 Place in the fridge. 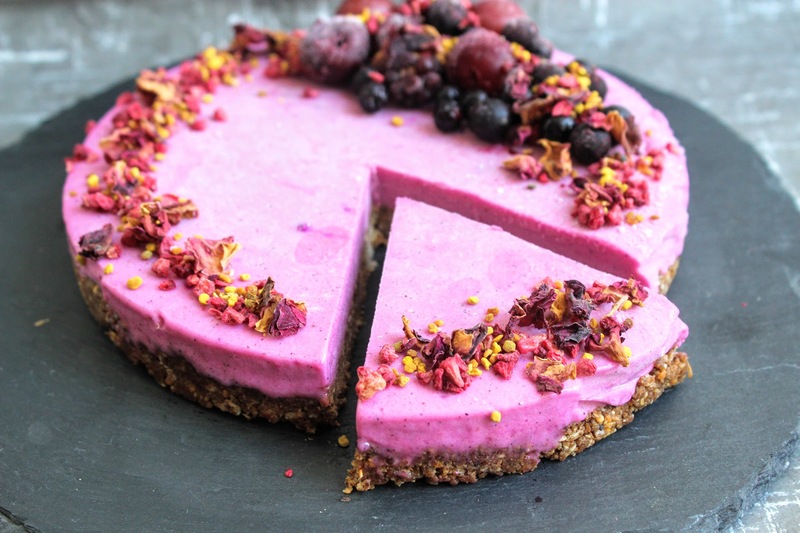 Meanwhile clean out the food processor then add the cheesecake ingredients – blend well until quite thick and completely smooth – it will be an amazing pink/purple colour! Pour over the base then place in the freezer for at least 6 hours to set. 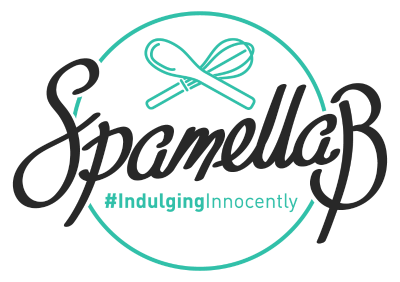 When ready to serve remove from the freezer 10 minutes beforehand then push out of the tin. 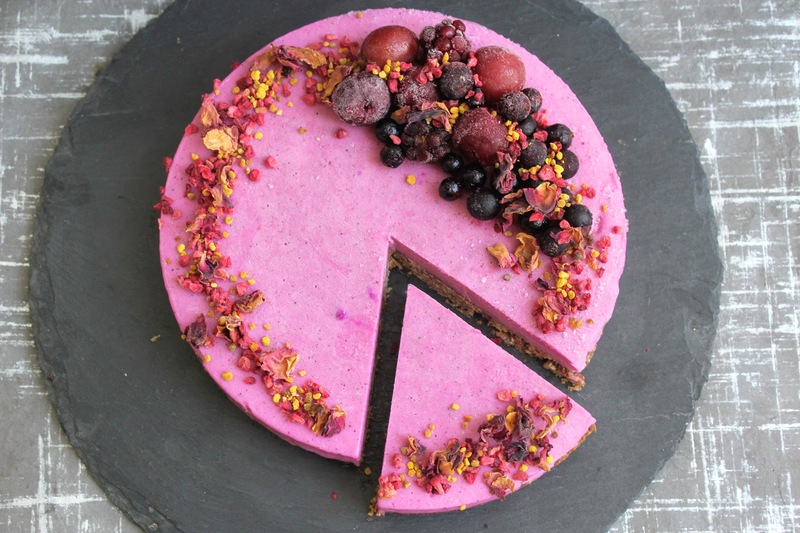 Decorate as you wish, slice and serve!